New Year’s Day I was looking for something easy and comforting to make for dinner. I stumbled upon a recipe using oven ready lasagna noodles and converted it to a vegetarian version by using Morning Star Crumbles instead of ground beef. The prep was simple and the results were delicious. Who thought lasagna could be this easy? 2. In a large bowl, combine Ricotta cheese, 1 cup mozzarella cheese, 1/4 cup Parmesan cheese, eggs, and basil. Mix well. 3. In a medium bowl, combine the past sauce, 1 cup water, and crumbles. Mix well. 4. In a 9" x 13" pan, spread approximately 1 1/2 cups of the sauce. Place 1/3 of the noodles over sauce. Spread 1/2 of the cheese mixture over noodles. Top with 1/3 of remaining sauce. Repeat layering once. Top with remaining noodles, then sauce. 5. Sprinkle with remaining cheese. Wrap the lasagna tightly with a double layer of foil. Bake for 60 minutes or until the lasagna is fork tender. 6. Let stand 10 minutes sealed in the foil before cutting and serving. 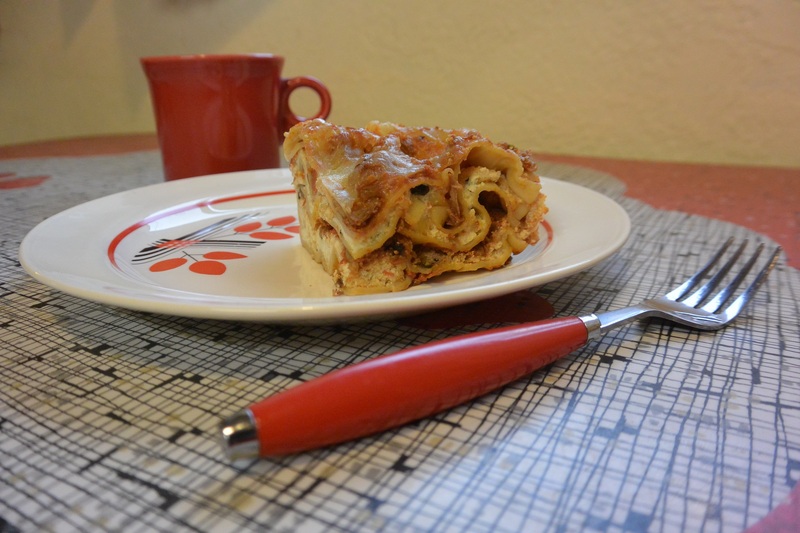 Oven ready noodles do not need to be boiled before placing in lasagna dish. 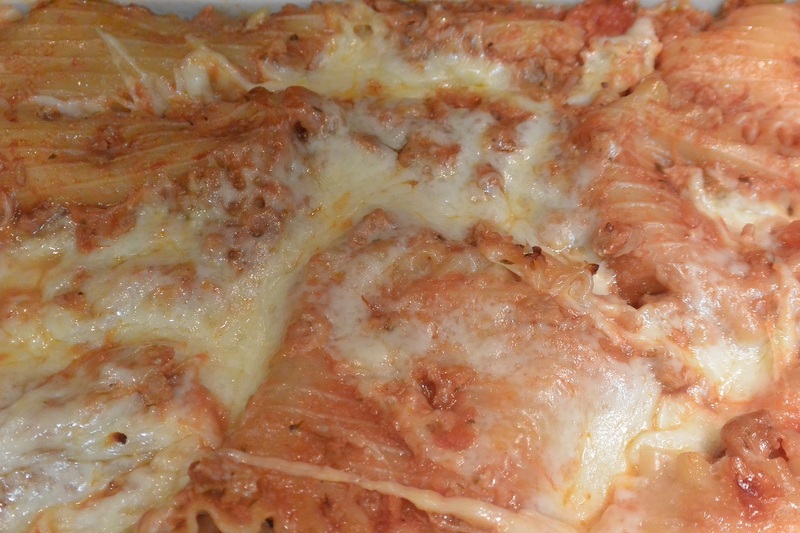 The sauce in the lasagna will cook the noodles during the baking process. Please check out our Vegetarian section for a boatload of more yummy recipes as well as our dedicated Veggie board on Pinterest.